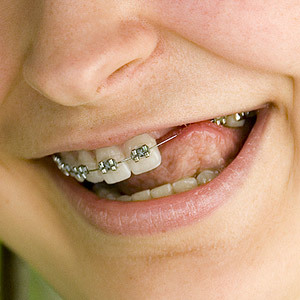 Metal braces are very effective, but they aren't always the most comfortable brace option. Invisalign, a completely wire-free orthodontic system, may be a better choice if you want to straighten your teeth but don't want to deal with painful adjustments or loose wires that can cut your lips. The Haworth, NJ, dentists at Gentle Dentistry explains how Invisalign works. In addition to concerns about pain, many people don't like the idea of wearing brackets and wires on their teeth for several years. The Invisalign system uses a series of clear aligner trays, eliminating the need for wires and brackets. Your teeth gradually shift thanks to the gentle pressure applied by the comfortable plastic trays. CAD/CAM technology, the same technology used to design new products, is the backbone of the Invisalign system. After taking digital impressions, photographs and X-rays of your teeth in our Haworth office, we'll press a button and combine the images into a 3D representation of your mouth. The image can be manipulated to demonstrate the changes that will occur when you wear each set of Invisalign aligners. Once we're happy with the design of your aligners, we'll send the design to laboratory that will create your aligner trays. Straightening your teeth with Invisalign is easy. Every two weeks, you'll insert a new set of aligner trays. Because trays may be worn more than once during the straightening process, you'll want to save your trays in case you'll need them later. Invisalign trays should be worn 20 hours per day for best results. Trays are so comfortable that you won't mind wearing them while you sleep. Caring for the trays doesn't require any special equipment. You'll rinse them when you take them out of your mouth and before you reinsert them. Although you can drink clear liquids without removing the trays, it's best to take them out when you drink other beverages to prevent staining. Invisalign offers exceptional comfort and can help you get the smile you deserve. Would you like to find out if you're a good Invisalign candidate? Call the Haworth, NJ, dentists at Gentle Dentistry at (201) 384-1611 to schedule an appointment.